What does Forest Park Conservancy do for Forest Park? Forest Park Conservancy serves Forest Park in several ways. 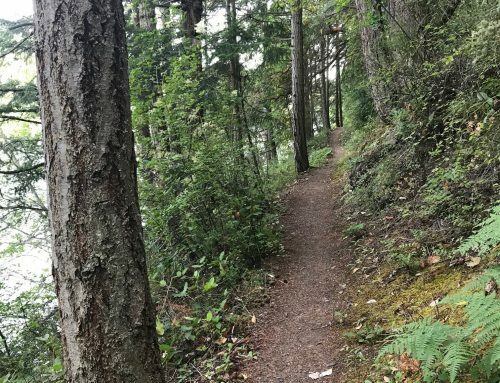 It maintains all the 47 miles of single track trails in Forest Park (the city maintains all of the roads like Holman and Leif Erikson plus the fire lanes.) It works with the City of Portland through the Portland Parks and Recreation to support restoration efforts in Forest Park. There’s a 15 year plan to restore Forest Park that was created by the city three years ago to help raise money, remove ivy in Forest Park. We also have a least two volunteer events per week that focus around pulling ivy, looking at restoration, and trails maintenance. What can trail runners do to help FPC? For us, the biggest thing is getting people educated on the importance of the work that we do whether it’s trail maintenance or restoration, but it’s also important that we get people out to volunteer. Donations are also very important as it cost a lot of money to maintain the trails. 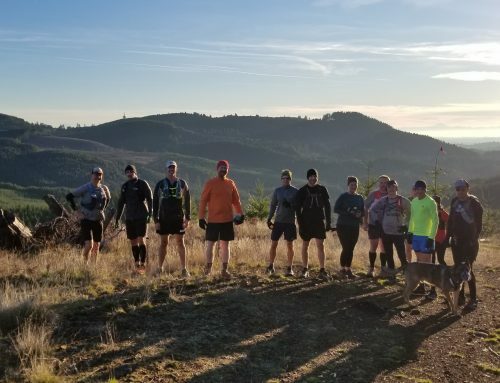 Trail runners can also help us out with peer to peer education about park rules. Off-leash dogs are a big thing right now with both runners and hikers. 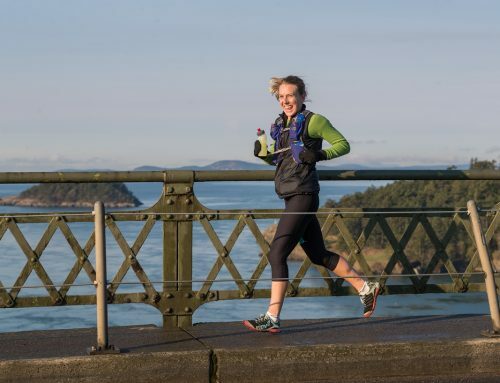 The All Trails Challenge is one of the best ways trail runners can help with Forest Park because you can have fun running in the park and raise money at the same time. We have had competitions before where you have one running group go against another to see how many miles they ran and how many funds they have raised. Speaking of off-leash dogs, what are FPC’s plans to enforce this with visitors in Forest Park? Over this next year, we are really going to take on that issue. We would like to see the city have more authority for getting this issue dealt with. Right now it’s really difficult for the rangers to enforce the off-leash dog rule in a way that city policy is set up. I would like to see that policy change. The biggest impact right now, from our perspective, is off-leash dogs. The biggest impact is to wildlife and water quality. When they are going off trail, there are a lot of small animals and birds that utilize that habitat. Also, the waste gets into streams and has a water quality impact as well. All dogs can have a negative impact with dog waste. The waste being left on the side of the trail in little bags that people don’t take back. People forget to pick up these bags on the way back or think there’s a trail crew that comes by and picks up these bags. Why is Forest Park a benefit to trail runners? It’s one of the most beautiful natural areas that we have. There are 80 miles of trails and in roads. Because of how vast Forest Park is, you really get to choose the kind of environment that you want to run in. If you are a long distance runner, you have the entire Wildwood trail. If you live closer to town and you want to get to the park quickly you can choose the southern end within the neighborhoods. If you really love being in the woods and you are willing to make the longer drive, you can get to the northern end of the park where you usually don’t see a whole lot of people. There is a different kind of range of environments that makes it really pleasurable. There are over 14 different access points so it’s fairly easy to get to. What resources are there for first time runners and visitors? 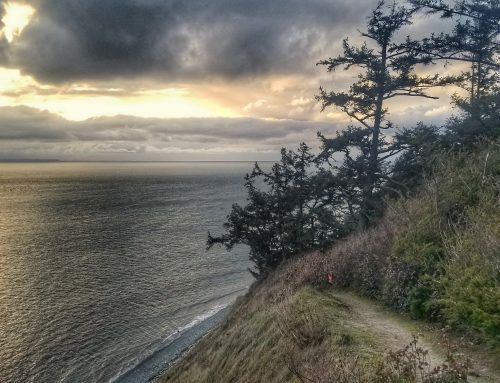 On our website we have some great ideas for beginner trail runs as introduction for folks that have never been to Forest Park before. There are also great maps of Forest Park that show all of the trails with suggested different hikes and runs. You can also get maps at Powell’s, New Seasons, REI, and some running stores around town. Any other future plans for Forest Park? Think about the big picture of Forest Park. Forest Park is not an island. It’s connected to the Oregon Coast Range. A lot of species that utilize Forest Park actually use that entire corridor. We think of Forest Park as part of a larger ecosystem. If we are going to ensure the long-term health care of Forest Park, thinking about climate change and urbanization we really need to look at the entire landscape. Four years ago we worked with numerous other partners, non-profits, the city, academic institutions like Portland State and Oregon State University and we launched a long term conservation initiative called the Forest Park Conservation Initiative. 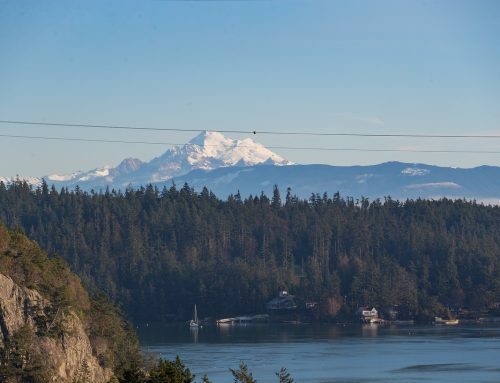 This takes a long term look at protection and restoration of 5200 acres of Forest Park, and additional 10,000 acres of both public and private lands. We need to work with land adjacent to the park, because if you only removing invasive species in Forest Park, you are not really solving the issue because obviously the invasive species will keep coming back into the park. It’s also important to educate people about the importance of their work of what they do on private land. 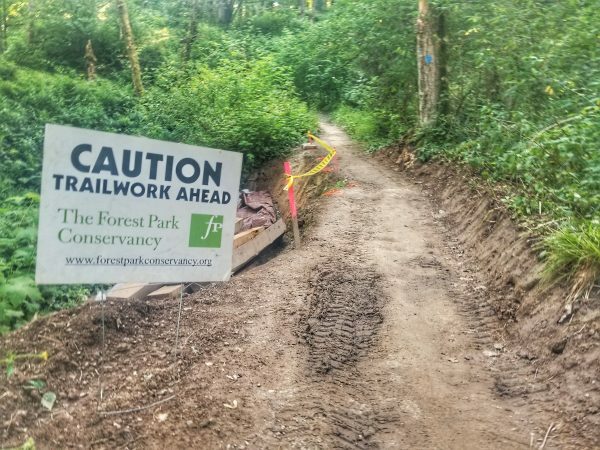 Along with the trail work, the ecological issues are the most important things we can do to work side by side with the city of restoring the interior section of the park but then also thinking about the entire landscape when we think about the long term effect on Forest Park. It’s been exciting to have lots of partner engagements, we work with 10-15 partners at one time on projects. There’s a blurb about it on our website. What’s going on with the bridge for Burnside? Money has been raised by the Portland Parks Foundations, crowd source funding, city funds, and a lot of private donations. It is supposed to start construction this fall. They are going through the final permitting process right now. That’s going to be really exciting because it will be a nice connection between Washington Park and Forest Park. Also those that want to run the entire Wildwood won’t have to feel like they are risking their lives crossing Burnside. Hopefully by next spring, there will be a new bridge over Burnside. Click here for more on the bridge. Thanks Renee. Support the Forest Park Conservancy with your donation, time or both!